Blue is matter-of-fact, blue is intellectual, blue is cold. All very true. 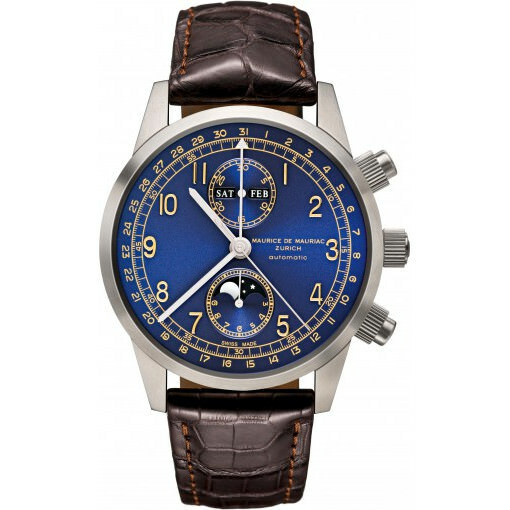 Yet because blue watches are in great demand, we searched for a sensual blue. We sought to find a blue that, much like red, evokes emotions – a deep blue. 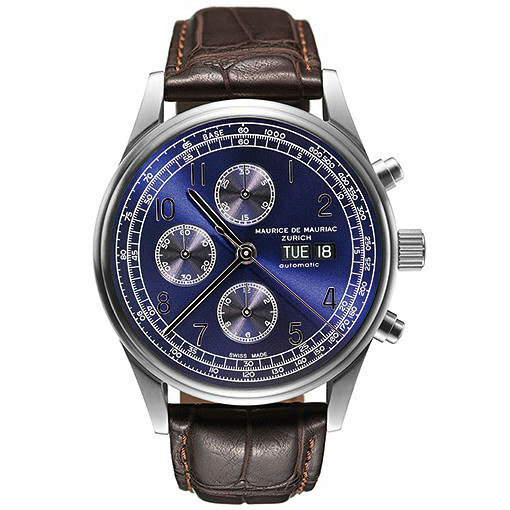 A watch dial in deep blue magically attracts glances, draws them into the depths of time, the depths of the watch and the depths of our fantasies. A glance at the watch becomes a sensual experience. When a person consumed by colour dedicates him- or herself to a particular colour, the process becomes a meditation. 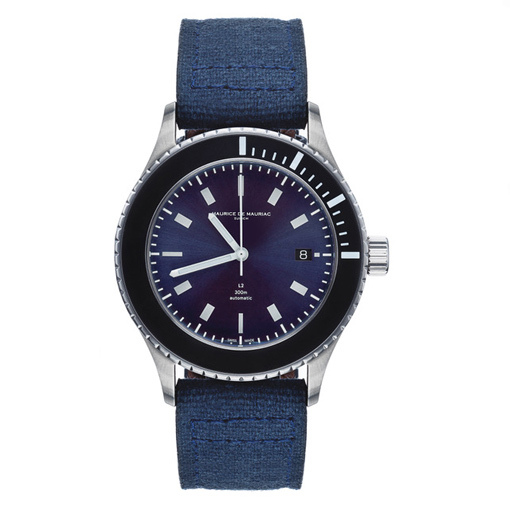 The Swiss manufacturer of the deep blue watch dials had to produce and combine countless colours samples and surface textures until Daniel Dreifuss finally gave a satisfied smile. Even more time elapsed until he uttered the words, “Yes, this is deep blue!” Now our deep blue reaches down to the depths of the oceans. Always too black to be blue and always too blue to be black. Having found deep blue is a deeply gratifying feeling. The skilful combining of this colour with different materials and colours is a passion that consuming. 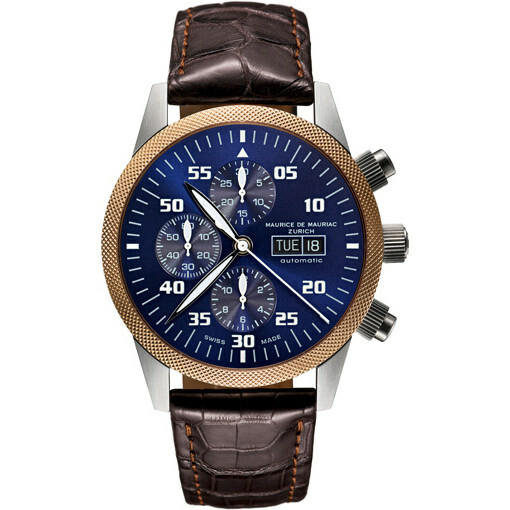 The result: a selection of typical Maurice de Mauriac watches in which you can lose yourself in the sensual deep blue. Deep Blue dials. There is even another possibility to become blue: a blue watch strap. 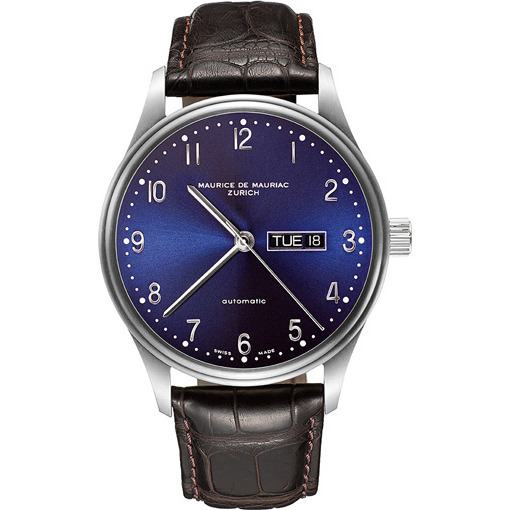 We have developed extraordinary blue tones for you in a variety of different types of leather as well as NATO-strap made from professional grade nylon. Let yourself fall into the deep blue. We have already made the leap, and we hope to see you there soon.